Actas de la European MOOC Stakeholder Summit 2017, incluyendo los artículos presentados en las sesiones de investigación y experiencias. El propósito del laboratorio Lytics de Stanford está enfocado en una dimensión del entorno de aprendizaje interactivo o infraestructura tecnológica de los MOOCs. MOOCs have made it possiblenot only to provide quality open education for any learnerworldwide, but also to rethink theway on-campusteachingis delivered. Thematerials produced for a MOOC canbeconsumed byon-campusstudents beforearriving to the classroom, using class time to do activities that promote active learning, following this way a flippedclassroom strategy. This paper presents the experience of redesigning a first-year engineering course with a large number of students (over 400 each year), in which MOOCs are reused, and a flipped classroom strategy is implemented, dedicatingmost of traditional lecture time to do hands-on, interactive activities. The results show an increase in students’ motivation,both in the use of MOOC content outside the classroom, and in the realization of hands-on, interactive activities inside theclassroom. In relation to the teacher, having information on students’ previous work outside the classroom, and onstudents’ work in the hands-on, interactive activities carried out inside the classroom, allows understanding better thedifferences between groups, tailoring the explanations during class time, and providing proper reinforcement activities tobe done after class. Learners in massive open online courses (MOOCs) are required to be autonomous during their learning process, and thus they need to self-regulate their learning to achieve their goals. According to existing literature, self-regulated learning (SRL) research in MOOCs is still scarce. More studies which build on past works regarding SRL in MOOCs are required, as well as literature reviews that help to identify the main challenges and future research directions in relation to this area. In this paper, the authors present the results of a systematic literature review on SRL in MOOCs, covering all the related papers published until the end of 2017. The papers considered in this review include real experiences with at least a MOOC (other learning scenarios sometimes claimed as MOOCs, such as blended courses, or online courses with access restrictions, are out of the scope of this analysis). Most studies on SRL in MOOCs share some common features: they are generally exploratory, based on one single MOOC and tend not to specify in which SRL model they are grounded. The results reveal that high self-regulators engage in non-linear navigation and approach MOOCs as an informal learning opportunity. In general, they prefer setting specific goals based on knowledge development and control their learning through assignments. This Paper explores the current use of Massive Open Online Courses (MOOCs) as a means of educational outreach among identified remote populations in Southeast Asia. Often excluded from traditional educational outreach, these groups are targeted through the COMPETEN-SEA Project, a Capacity Building in Higher Education project funded by the Erasmus+ programme of the European Commission and implemented in partnership with European and Southeast Asian universities. It is hoped that the Project will aid participating Southeast Asian countries address societal needs and attain national development goals. This paper presents an initial design of a conversational agent for educational purposes built for Google Assistant and its first prototype. Recent studies suggest that people will get more and more attached to voice assistant because they can easily use technology without being forced to learn it. Speech recognition might facilitate a more efficient work environment without being overly rigid and overly domineering. Modern frameworks allow harnessing natural language understanding as well a machine learning tools, thereby making it easy to build conversational agents. In this paper, we present first design decisions and a prototype for building an agent for learning Java that complements a MOOC for programming with Java. How to make MOOCs better for specific target groups and developing countries? The emergence of massive open online courses (MOOCs) has caused a major impact on online education. However, learning analytics support for MOOCs still needs to improve to fulfill requirements of instructors and students. In addition, MOOCs pose challenges for learning analytics tools due to the number of learners, such as scalability in terms of computing time and visualizations. In this work, we present different visualizations of our “Add-on of the learNing AnaLYtics Support for open Edx” (ANALYSE), which is a learning analytics tool that we have designed and implemented for Open edX, based on MOOC features, teacher feedback, and pedagogical foundations. In addition, we provide a technical solution that addresses scalability at two levels: first, in terms of performance scalability, where we propose an architecture for handling massive amounts of data within educational settings; and, second, regarding. Alario-Hoyos, C., Estévez-Ayres, I., Delgado Kloos, C., Villena-Román, J. The concept of SPOCs (Small Private Online Courses) emerged as a way of describing the reuse of MOOCs (Massive Open Online Courses) for complementing traditional on-campus teaching. But SPOCs can also drive an entire methodological change to make a better use of face-to-face time between students and teachers in the classroom. This paper presents the redesign and evaluation of a first-year programming course in several engineering degrees, with over 400 students overall, through the reuse of MOOCs as SPOCs on campus, combined with a flipped classroom strategy aimed at promoting active learning. Results from a students’ self-reported questionnaire show a very positive acceptance of the SPOC, which includes both videos and complementary formative activities, and an increase of motivation through the combination of the SPOC and activities implemented in lectures to flip the classroom. Delgado Kloos, C., Alario-Hoyos, C., Hernández Rizzardini, R.
Ramírez-Donoso, L., Rojas-Riethmuller, J.S., Pérez-Sanagustín, M., Neyem, A., Alario-Hoyos, C.
In recent years, institutions of higher education have been using Massive Open Online Courses (MOOCs) as an alternative to enhance and innovate traditional classroom practices. One of the approaches to this type of innovation consists of using the platforms where MOOCs are hosted for the development of courses that are aligned to their on-campus curricular contents. They are known as Small Private Online Courses (SPOCs), which allow online access to knowledge for groups of students with a well-defined profile. The platforms where MOOCs (and SPOCs) are hosted have been designed to support large volumes of data and visits. However, these platforms present important limitations regarding the implementation of collaborative learning activities. To address this problem, this article presents MyMOOCSpace, a cloud-based mobile system aimed at supporting effective collaboration in MOOCs, by combining key aspects of collaboration from the research area of Computer Supported Collaborative Learning (CSCL) with game-based dynamics. MyMOOCSpace has been tested in three quasi-experiments that were run in four Latin-American universities with a total of 68 participants. The objective was to assess its usability and its effect in enhancing collaboration among students in a SPOC. The results obtained on usability show that MyMOOCSpace is easy to use, and that participants felt pleased with while using it. Finally, it was observed that MyMOOCSpace managed to enhance interaction and collaboration among students. Alario-Hoyos, C., Estévez-Ayres, I., Pérez-Sanagustín, M., Delgado Kloos, C., Fernández-Panadero, C.
MOOCs (Massive Open Online Courses) have changed the way in which OER (Open Educational Resources) are bundled by teachers and consumed by learners. MOOCs represent an evolution towards the production and offering of structured quality OER. Many institutions that were initially reluctant to providing OER have, however, joined the MOOC wave. Nevertheless, MOOCs detractors strongly criticize their high dropout rates. The dropout rate is a commonly accepted metric of success for traditional education, but it may not be as suitable when dealing with OER, in general, and with MOOCs, in particular, since learners’ motivations to take a course are very diverse, and certain self-regulated learning strategies are required to tackle the lack of personalized tutoring and keep pace in the course. This paper presents an empirical study on the motivation and learning strategies of MOOC learners. Six thousand three hundred and thirty-five learners from 160 countries answered a self-report 7-point Likert-type questionnaire based on the Motivated Strategies for Learning Questionnaire (MSLQ) as part of a MOOC titled Introduction to Programming with Java . Results indicate that learners were highly motivated and confident to do well in the course. Learning strategies, however, can be improved, especially regarding time management. Ruipérez-Valiente, J. A., Cobos, R., Muñoz-Merino, P. J., Andujar, Á., & Kloos, C. D.
The emergence of MOOCs (Massive Open Online Courses) makes available big amounts of data about students’ interaction with online educational platforms. This allows for the possibility of making predictions about future learning outcomes of students based on these interactions. The prediction of certificate accomplishment can enable the early detection of students at risk, in order to perform interventions before it is too late. This study applies different machine learning techniques to predict which students are going to get a certificate during different timeframes. The purpose is to be able to analyze how the quality metrics change when the models have more data available. From the four machine learning techniques applied finally we choose a boosted trees model which provides stability in the prediction over the weeks with good quality metrics. We determine the variables that are most important for the prediction and how they change during the weeks of the course. Alexandron, G., Ruipérez-Valiente, J. A., Chen, Z., Muñoz-Merino, P. J., & Pritchard, D. E.
This paper presents a detailed study of a form of academic dishonesty that involves the use of multiple accounts for harvesting solutions in a Massive Open Online Course (MOOC). It is termed CAMEO – Copying Answers using Multiple Existence Online. A person using CAMEO sets up one or more harvesting accounts for collecting correct answers; these are then submitted in the user’s master account for credit. The study has three main goals: Determining the prevalence of CAMEO, studying its detailed characteristics, and inferring the motivation(s) for using it. For the physics course that we studied, about 10% of the certificate earners used this method to obtain more than 1% of their correct answers, and more than 3% of the certificate earners used it to obtain the majority (>50%) of their correct answers. We discuss two of the likely consequences of CAMEO: jeopardizing the value of MOOC certificates as academic credentials, and generating misleading conclusions in educational research. Based on our study, we suggest methods for reducing CAMEO. 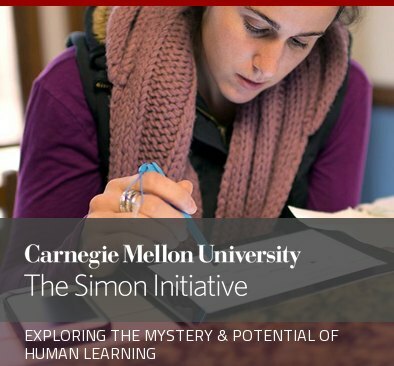 Although this study was conducted on a MOOC, CAMEO can be used in any learning environment that enables students to have multiple accounts. Delgado Kloos, C., Alario-Hoyos, C., Estévez-Ayres, I., Muñoz-Merino, P.J., Ibáñez-Espiga, M.B., Crespo-García, R.M. The MOOC movement has helped faculty in focusing on how to lecture. However, once this is done, it would not make sense not to use this content for on-campus classes. In this paper, we will explain how to harness top content created for MOOCs to improve on-campus classes, where the personal interaction is a key added feature. Interactive practices and on-site interaction, especially in-class interaction, are of particular relevance in the evolution of Higher Education towards a more effective learning. Pérez Sanagustín, M., Hilliger, I., Alario-Hoyos, C., Delgado Kloos, C., Rayyan, S.
Since Massive Open Online Courses (MOOCs) started to become part of the scene of Higher Education (HE), many institutions have joined the race of MOOC creation. However, producing MOOCs has shown to be a cumbersome and expensive activity for HE institutions. For this reason, many universities have started to explore and experiment with hybrid initiatives in which locally produced and third-party MOOCs are reused and integrated into traditional courses. Most of the hybrid initiatives described in the literature so far focus on flipped classroom experiences, although there are some other possibilities for integrating MOOCs in the curriculum. Moreover, few studies have reported on the institutional support required for implementing hybrid initiatives, and their benefits from a curriculum perspective. In order to shed some light on the opportunities that arise from the reuse of MOOCs, this paper presents H-MOOC, a framework that describes hybrid MOOC-based initiatives as a continuum of two factors: (1) institutional support to reuse an existing MOOC, and (2) curricular content alignment between the MOOC and the program, or the course hybridized. In addition, H-MOOC proposes indicators to measure the impact of these initiatives at both educational and institutional levels. Examples of actual hybrid initiatives and a set of guiding questions are presented to show how to apply the H-MOOC framework in different contexts. Muñoz-Merino, P. J., Rodríguez, E. M., Kloos, C. D., & Ruipérez-Valiente, J. A. The Universidad Carlos III de Madrid has been offering several face-to-face remedial courses for new students to review or learn concepts and practical skills that they should know before starting their degree program. During 2012 and 2013, our University adopted MOOC-like technologies to support some of these courses so that a blended learning methodology could be applied in a particular educational context, i.e. by using SPOCs (Small Private Online Courses). This paper gathers a list of issues, challenges and solutions when implementing these SPOCs. Based on these challenges and issues, a design process is proposed for the implementation of SPOCs. In addition, an evaluation is presented of the different use of the offered courses based on indicators such as the number of videos accessed, number of exercises accessed, number of videos completed, number of exercises correctly solved or time spent on the platform. Velo-Beascoechea, J., Alario-Hoyos, C., Estévez-Ayres, I., Delgado Kloos, C.
Los MOOCs suponen una revolución en el acceso a la educación superior y tienen un gran potencial para mejorar la empleabilidad de profesionales de distintos sectores. Sin embargo, mientras que el movimiento MOOC ha tenido un gran impacto en Estados Unidos y Europa, en Latinoamérica hay pocas universidades que hayan desarrollado sus propios MOOCs, a pesar del gran impacto potencial de éstos, debido a la extensa comunidad hispanohablante en la región. El proyecto MOOC-Maker busca transferir la experiencia ganada en Europa en los últimos años en el ámbito de los MOOCs a Latinoamérica a través de la construcción de capacidades de gestión de MOOCs (incluyendo formación de personal y creación de infraestructuras y unidades en las universidades locales) en Guatemala, Colombia y Chile, y mediante la creación de una red intercontinental de colaboración en el ámbito de los MOOCs que se extienda a lo largo de Latinoamérica. Las Redes Sociales juegan un papel fundamental en los MOOCs, dado que permiten construir una comunidad de estudiantes con intereses comunes que intercambian comentarios, plantean cuestiones o realizan aportaciones al curso. Para el profesor de un MOOC es importante entender cómo gestionar correctamente las Redes Sociales, dada la incapacidad de procesar los miles de mensajes que se generan en el curso. En este artículo se analizan las Redes Sociales de un MOOC concreto sobre Introducción a la Programación con Java en el que hubo más de ochenta mil alumnos matriculados y en el que se recibieron más de trece mil comentarios, relacionando además el número de comentarios recibidos con las calificaciones finales obtenidas por los estudiantes. Los resultados del análisis establecen que existe una relación entre el número de comentarios y los alumnos aprobados, siendo mayor el porcentaje de aprobados entre los alumnos que más comentarios realizan en el MOOC. Ruipérez-Valiente, J. A., Muñoz-Merino, P. J., Gascón-Pinedo, J. A., & Kloos, C. D.
The emergence of massive open online courses (MOOCs) has caused a major impact on online education. However, learning analytics support for MOOCs still needs to improve to fulfill requirements of instructors and students. In addition, MOOCs pose challenges for learning analytics tools due to the number of learners, such as scalability in terms of computing time and visualizations. In this work, we present different visualizations of our “Add-on of the learNing AnaLYtics Support for open Edx” (ANALYSE), which is a learning analytics tool that we have designed and implemented for Open edX, based on MOOC features, teacher feedback, and pedagogical foundations. In addition, we provide a technical solution that addresses scalability at two levels: first, in terms of performance scalability, where we propose an architecture for handling massive amounts of data within educational settings; and, second, regarding the representation of visualizations under massiveness conditions, as well as advice on color usage and plot types. Finally, we provide some examples on how to use these visualizations to evaluate student performance and detect problems in resources. Muñoz‐Merino, P. J., Ruipérez‐Valiente, J. A., Delgado Kloos, C., Auger, M. A., Briz, S., de Castro, V., & Santalla, S. N.
The use of Massive Open Online Courses (MOOCs) is increasing worldwide and brings a revolution in education. The application of MOOCs has technological but also pedagogical implications. MOOCs are usually driven by short video lessons, automatic correction exercises, and the technological platforms can implement gamification or learning analytics techniques. However, much more analysis is required about the success or failure of these initiatives in order to know if this new MOOCs paradigm is appropriate for different learning situations. This work aims at analyzing and reporting whether the introduction of MOOCs technology was good or not in a case study with the Khan Academy platform at our university with students in a remedial Physics course in engineering education. Results show that students improved their grades significantly when using MOOCs technology, student satisfaction was high regarding the experience and for most of the different provided features, and there were good levels of interaction with the platform (e.g., number of completed videos or proficient exercises), and also the activity distribution for the different topics and types of activities was appropriate. Massive open online courses (MOOCs) have recently emerged as a revolution in education. Due to the huge amount of users, it is difficult for teachers to provide personalized instruction. Learning analytics computer applications have emerged as a solution. At present, MOOC platforms provide low support for learning analytics visualizations, and a challenge is to provide useful and effective visualization applications about the learning process. At this paper we review the learning analytics functionality of Open edX and make an overview of our learning analytics application ANALYSE. We present a usability and effectiveness evaluation of ANALYSE tool with 40 students taking a Design of Telematics Applications course. The survey obtained very positive results in a system usability scale (SUS) questionnaire (78.44/100) in terms of the usefulness of visualizations (3.68/5) and the effectiveness ratio (92/100) of the actions required for the respondents. Therefore, we can conclude that the implemented learning analytics application is usable and effective. Delgado Kloos, C., Alario-Hoyos, C., Fernández-Panadero, M.C., Estévez-Ayres, I., Muñoz-Merino, P.J., Tovar, E., Cabedo, R., Cobos, R., Moreno, J., Piedra, N., Chicaiza, J., López, J. Both, MOOCs and learning analytics, are two emergent topics in the field of educational technology. This paper shows the main contributions of the eMadrid network in these two topics during the last years (2014-2016), as well as the planned future works in the network. The contributions in the field of the MOOCs include the design and authoring of materials, the improvement of the peer review process or experiences about teaching these courses and institutional adoption. The contributions in the field of learning analytics include the inference of higher level information, the development of dashboards, the evaluation of the learning process, or the prediction and clustering. Alario-Hoyos, C., Muñoz-Merino, P.J., Pérez-Sanagustín, M., Delgado Kloos, C., Parada G., H.A. The role of social tools in MOOCs (Massive Open Online Courses) is essential as they connect the participants. Of all the participants in a MOOC, top contributors are the ones who more actively contribute via social tools, sometimes with posts to the emergent discussions, sometimes answering their peers’ questions and concerns and sometimes even adding complementary sources of information to the course. This paper collects, analyzes, and reports empirical data from five different social tools pertaining to an actual MOOC to characterize top contributors and provide some insights aimed at facilitating their early detection. The results of this analysis show that top contributors have better final scores than the rest. In addition, there is a moderate positive correlation between participants’ overall performance (measured in terms of final scores) and the number of posts submitted to the five social tools. This paper also studies the effect of participants’ gender and scores as factors that can be used for the early detection of top contributors. The analysis shows that gender is not a good predictor, and that taking the scores of the first assessment activities of each type (test and peer assessment in the case study) results in a prediction that is not substantially improved by adding subsequent activities. Finally, better predictions based on scores are obtained for aggregate contributions in the five social tools than for individual contributions in each social tool. Alario-Hoyos, C., Delgado Kloos, C., Estévez-Ayres, I., Fernández-Panadero, C., Villena-Román, J.
MOOCs represent a great opportunity to spread knowledge that has been traditionally restricted to small groups of students to potentially any learner from anywhere in the world. Thus, the expertise gained over years of practice by teachers on certain topics is now made available to a wider audience. This expertise, captured in the form of good practices and common misconceptions, is very valuable to create quality MOOCs that are rich in contents and exercises. This paper describes the design and development of the MOOC ” Introduction to Programming with Java Part 1: Starting to Code with Java ” , which is focused on teaching programming using Java as the driving language. This MOOC is offered on the edX platform, and has turned out to be a successful experience with more than 130,000 enrollees so far in its two runs (the second still ongoing). It was designed and developed to be highly interactive, making extensive use of exercises created with edX built-in tools, but also with other external tools, such as Blockly, Codeboard, and Greenfoot; numerous ad hoc animations and simulations are also included as part of the courseware. This MOOC has received good critiques from learners, achieving a score of 4.5 stars out of 5 (70 reviews) in the course reviewer CourseTalk, which puts this course in the top 10% of the courses published in edX, and in the top 10 of the courses published by European universities in edX, according to this review tool (as of March 2016). Delgado Kloos, C., Muñoz-Merino, P.J., Crespo-Garcí­a, R.M., Alario-Hoyos, C.
Delgado Kloos, C., Ibáñez-Espiga, M.B., Alario-Hoyos, C., Muñoz-Merino, P.J., Estévez-Ayres, I., Fernández-Panadero, C., Villena-Román, J. The appearance of MOOCs has contributed to the use of educational technology in new contexts. As a consequence, many teachers face the challenge of creating educational content (courseware) to be offered in MOOCs. Although some best practices exist, it is true that most of the content is being developed without much thought about adequacy, reusability, maintainability, composability, etc. The main thesis at this paper is that we are facing a “courseware crisis” in the same way as there was a “software crisis” 50 years ago, and that the way out is to identify good engineering discipline to aid in the development of courseware. We need Courseware Engineering in the same way as at those times we needed Software Engineering. Therefore, the challenge is now to define and develop fundamentals, tools, and methods of Courseware Engineering, as an analogy to the fundamentals, tools, and methods that were developed in Software Engineering. Alario-Hoyos, C., Delgado Kloos, C., Estévez-Ayres, I., Fernández-Panadero, C., Blasco, J., Pastrana, S., Suárez-Tangil, G., Villena-Román, J.
with Java – Part 1: Starting to Programming in Java”. This five-week MOOC was deployed in edX and ran from April to June 2015. More than 70,000 learners registered for this course, which had no prerequisites on programming skills. This MOOC was carefully designed to enhance learners interactivity with the learning contents through numerous formative activities supported by both edX built-in tools and other external tools aimed at helping to learn programming gradually, such as Blockly, Codeboard and Greenfoot. The results show the usefulness of including a large number of formative activities for checking the learning process and a very positive feedback of the selection of tools included in this course. Pérez-Sanagustín, M., Hilliger, I., Alario-Hoyos, C., Delgado Kloos, C., Rayyan, S.
Several studies have described different hybrid initiatives to integrate MOOCs into traditional higher education. Most of these studies have partially documented students’ perception on hybrid initiatives, measuring course satisfaction among other metrics. Few researchers have reported institutional efforts implied in implementing hybrid initiatives and their benefits from a curriculum perspective. This paper presents H-MOOC, a framework that describes hybrid MOOC-based initiatives as a continuum of two factors: (1) institutional effort, and (2) curriculum alignment. H-MOOC facilitates the comparison of different hybrid MOOC-based initiatives by suggesting Key Performance Indicators to measure their impact at an institutional level. Different hybrid initiatives in the literature are analyzed to illustrate how H-MOOC works. An actual case study on a course on Calculus is presented as empirical evidence of its use. Presentación del Profesor Carlos Delgado Kloos en la Jornada de Educación Abierta celebrada el 11 de marzo de 2013 en la Universidad Carlos III de Madrid en el marco de la Open Education Week promovida por el Consorcio OpenCourseWare. The emergence of Massive Open Online Courses (MOOCs) has caused a high disrupting effect on online education. One of the most extended MOOC platforms is Open edX. There is a demanding necessity by the instructors and students of these courses to provide timely analytics tools that can help understand the learning process at any moment. In this direction we have developed the Add-on of learNing AnaLYtics Support for open Edx (ANALYSE), which is our learning analytics contribution for Open edX. In this demonstration paper we will provide guidelines on how to use some of the ANALYSE video visualizations in order to detect problems in video resources, so that the learning process can be improved. Los MOOCs (Massive Open Online Courses – Cursos Online Masivos Abiertos) han supuesto una revolución en la educación. Diseñar y poner en marcha un MOOC es una tarea compleja y además dependiente fuertemente del tipo de curso y de la plataforma donde éste se vaya a desplegar. Este artículo presenta el diseño del MOOC “Introducción a la Programación con Java – Parte 1: Empezando a Programar en Java” desplegado en la plataforma edX y puesto en marcha a finales de abril de 2015. Este curso de cinco semanas introduce los principios básicos de la programación utilizando como herramienta el lenguaje Java. El MOOC ha surgido de la colaboración entre los departamentos de Ingeniería Telemática e Informática de la Universidad Carlos III de Madrid. MOOCs represent a new medium for education. In this paper, we describe some of the best practices identified after having produc- ed and run a MOOC in 2013 for the first run of MiríadaX, having set up a service unit at Univ. Carlos III de Madrid (UC3M) for the production of MOOCs (mainly for edX) and SPOCs for internal use, and continuing to be active in MOOCs and MOOC-related production at both sides of the Atlantic (in Spain and Chile). This work approaches the prediction of learning gains in an environment with intensive use of exercises and videos, specifically using the Khan Academy platform. We propose a linear regression model which can explain 57.4% of the learning gains variability, with the use of four variables obtained from the low level data generated by the students. We found that two of these variables are related to exercises (the proficient exercises and the average number of attempts in exercises), and one is related to both videos and exercises (the total time spent in both) related to exercises, whereas only one is related to videos. MOOCs have brought a revolution to educa tion. However, their impact is mainly benefiting people with Higher Education degrees. The lack of support and personalized advice in MOOCs is causing that many of the learners that have not developed work habits and self-learning skills give them up at the first obstacle, and do not see MOOCs as an alternative for their education and training. MyLearningMentor (MLM) is a mobile application that addresses the lack of support and personalized advice for learners in MOOCs. This paper presents the architecture of MLM and practical examples of use. Internet worldwide adoption has influenced several trends in human behavior, and social phenomena represented through the ever-increasing popularity of social networks have created new conversational arenas. New media-sharing technologies have allowed users to consume information from countless sources, including media that have been remixed and co-created by a crowd. Teachers’ roles are evolving toward amplifying, curating, aggregating, filtering, modeling, knowledge sensemaking, and so on in a course. Massive Open Online Courses (MOOCs) have emerged as an educational disruptive innovation. Massive Open Online Courses (MOOCs) have grown up to the point of becoming a new learning scenario for the support of large amounts of students. Among current research efforts related to MOOCs, some are studying the application of well-known characteristics and technologies. An example of these characteristics is adaptation, in order to personalize the MOOC experience to the learner’s skills, objectives and profile. Several educational adaptive systems have emphasized the advantages of including affective information in the learner profile. Many modern web-based systems provide a ‘responsive’ design that allows material and services to be accessed on mobile and desktop devices, with the aim of providing ubiquitous access. Besides offering access to learning materials such as podcasts and videos across multiple locations, mobile, wearable and ubiquitous technologies have some additional affordances that may enable new forms of learning on MOOCs. The emergence of MOOCs has boosted the use of educational technology in all possible contexts. How can MOOC affordances, such as rich multimedia content, interactive exercises, and social networks, be harnessed in face-to-face education? In this paper, we present some experiences carried out at Universidad Carlos III de Madrid that combine MOOC-like content in on-campus courses. We believe that this is the most promising and useful way to use the affordances of technology in education. The contribution of this paper is twofold. On the one hand, we present an experience of a Masters’ level course based on real-world projects with interaction with real developers from industry. This reality check created a special motivation for students as well as provided a useful experience for their future work. On the other hand, we describe the technical details of the three projects carried out by the students. These were extensions to Google’s massive open online course platform Course Builder. They were about an improvement in the management of quizzes, an extension with learning analytics tools, and an integration with Mozilla open badges. This chapter analyzes the different implications of the new MOOC paradigm in assessment activities, emphasizing the differences with respect to other non MOOC educational technology environments and giving an insight about the redesign of assessment activities for MOOCs. The chapter also compares the different assessment activities that are available in some of the most used MOOC platforms at present. In addition, the process of design of MOOC assessment activities is analyzed. 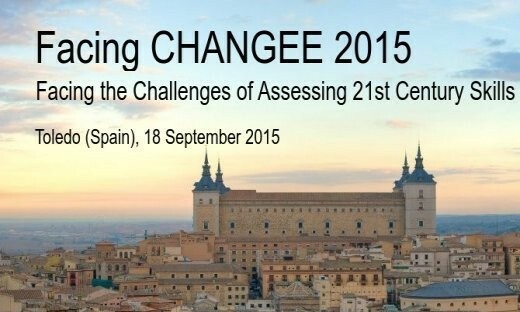 Specific examples are given about how to design and create different types of assessment activities. The Genghis authoring tool as a solution for the creation of some types of exercises in the Khan Academy platform is presented. Finally, there is an analysis of the learning analytics features related to assessment activities that are present in MOOCs. Moreover, some guidelines are provided about how to interpret and take advantage of this information. Present MOOC and SPOC platforms do not provide teachers with precise metrics that represent the effectiveness of students with educational resources and activities. This work proposes and illustrates the application of the Precise Effectiveness Strategy (PES). PES is a generic methodology for defining precise metrics that enable calculation of the effectiveness of students when interacting with educational resources and activities in MOOCs and SPOCs, taking into account the particular aspects of the learning context. PES has been applied in a case study, calculating the effectiveness of students when watching video lectures and solving parametric exercises in four SPOCs deployed in the Khan Academy platform. This paper summarizes some of the work that has been carried out within the eMadrid research network in the last four years in the area of educational technology at Universidad Carlos III de Madrid. In order to organize the findings and identify future trends and possibilities, a framework space is used with three dimensions: physical-digital, local-global, and formal-informal. Research results are presented along the three dimensions and possible future developments are suggested in this framework. The emergence of platforms to support MOOCs (Massive Open Online Courses) strengthens the need of a powerful learning analytics support since teachers cannot be aware of so many students. However, the learning analytics support in MOOC platforms is in an early stage nowadays. The edX platform, one of the most important MOOC platforms, has few learning analytics functionalities at present. In this paper, we analyze the learning analytics support given by the edX platform, and the main initiatives to implement learning analytics in edX. 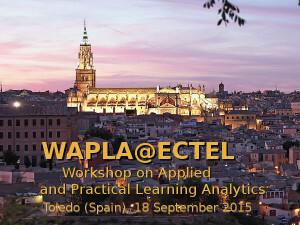 We also present our initial steps to implement a learning analytics extension in edX. We review technical aspects, difficulties, solutions, the architecture and the different elements involved. Finally, we present some new visualizations in the edX platform for teachers and students to help them understand the learning process. This paper reports the insights of the experience of designing and deploying the MOOC Digital Education of the Future, which was deployed in the platform MiríadaX in early 2013. This MOOC was delivered by several professors from the Universidad Carlos III de Madrid and was supported by several external social tools that promoted the creation of a community of learners as part of it. The contribution of this study is a list of insights and recommendations about both the design and deployment of MOOCs. 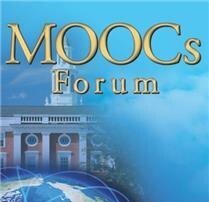 One of the gaps that arises from the recent emergence of Massive Open Online Courses (MOOCs) is the lack of methodologies, tools and models for supporting the instructional design of these complex courses, which typically involve several stakeholders (e.g., teachers, audio visual technicians, institutional staff…). One of the few approaches addressing this gap so far is the MOOC Canvas, a framework for supporting the description and design of MOOCs. This paper presents a first approach towards a methodology that applies the MOOC Canvas as an instrument for coordinating the needs and interests of the different stakeholders involved in the preparation and enactment of MOOCs. Do Optional Activities Matter in Virtual Learning Environments? Virtual Learning Environments (VLEs) provide studentts with activities to improve their learning (e.g., reading texts, watching videos or solving exercises). But VLEs usually also provide optional activities (e.g., changing an avatar profile or setting goals). Some of these have a connection with the learning process, but are not directly devoted to learning concepts (e.g., setting goals). Few works have dealt with the use of optional activities and the relationships between these activities and other metrics in VLEs. This paper analyzes the use of optional activities at different levels in a specific case study with 291 students from three courses (physics, chemistry and mathematics) using the Khan Academy platform. The level of use of the different types of optional activities is analyzed and compared to that of learning activities. In addition, the relationship between the usage of optional activities and different student behaviors and learning metrics is presented. The Khan Academy platform enables powerful on-line courses in which students can watch videos, solve exercises, or earn badges. This platform provides an advanced learning analytics module with useful visualizations. Nevertheless, it can be improved. In this paper, we describe ALAS-KA, which provides an extension of the learning analytics support for the Khan Academy platform. We herein present an overview of the architecture of ALAS-KA. In addition, we report the different types of visualizations and information provided by ALAS-KA, which have not been available previously in the Khan Academy platform. In current online courses, most learning analytics techniques collect, analyze and display low-level data about the interactions of students with educational activities and resources. These data are used to detect students with difficulties in the course, as well as educational activities and resources which might be problematic. This paper presents the Precise Effectiveness Strategy (PES) which enables to calculate the effectiveness of students with educational activities and resources in online courses from low-level events in a quantitative way, taking into account different aspects of the learning context. Massive Open Online Courses (MOOCs) provide open access to a wide variety of learning contents in many different knowledge areas, so that eventually anyone in the world can join these courses and learn, no matter the level of education. However, the majority of participants that currently take advantage of MOOCs already have Higher Education qualifications. Therefore, there is an open challenge in promoting the embracement of MOOCs by those who have not achieved a college degree, in a society that demands more and more up-todate competences. Carlos Alario Hoyos, Mar Pérez Sanagustín, Carlos Delgado Kloos, Hugo A. Parada Gálvez, Mario Muñoz Organero. This paper presents an in-depth empirical analysis of a nine-week MOOC. This analysis provides novel results regarding participants’ profiles and use of built-in and external social tools. The results served to detect seven participants’ patterns and conclude that the forum was the social tool preferred to contribute to the MOOC. In this paper we analyse the challenges posed to teachers and students in massive face-to-face classes and explore how existing solutions can be applied to these contexts. In particular, we focus on classON1, a tool that provides teachers and students with the appropriate information to make the most out of face-to-face sessions in the computer lab. classON has been well tested in small-medium face-to-face lab sessions and we discuss some of its characteristics (current ones and foreseen) to adapt it to massive courses. As a result, we provide a set of recommendations for adapting tools to support massive face-to-face learning activities. MOOCs have been a disruptive educational trend in the last months. Some MOOCs just replicate traditional teaching pedagogies, adding multimedia elements like video lectures. Others go beyond, trying to engage the massive number of participants by promoting discussions and relying on their contributions to the course. MOOC platforms usually provide some built-in social tools for this purpose, although instructors or participants may suggest others to foster discussions and crowdsourcing. This paper analyses the impact of two built-in (Q&A and forum) and three external social tools (Facebook, Twitter and MentorMob) in a MOOC on educational technologies. To process low level educational data in the form of user events and interactions and convert them into information about the learning process that is both meaningful and interesting presents a challenge. In this paper, we propose a set of high level learning parameters relating to total use, efficient use, activity time distribution, gamification habits, or exercise-making habits, and provide the measures to calculate them as a result of processing low level data. We apply these parameters and measures in a real physics course with more than 100 students using the Khan Academy platform at Universidad Carlos III de Madrid. We show how these parameters can be meaningful and useful for the learning process based on the results from this experience.